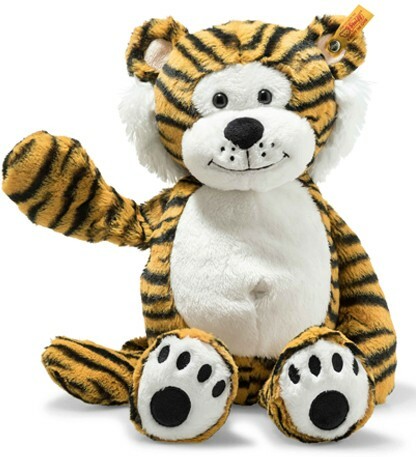 Steiff Toni Tiger has been made from super soft orange and black striped plush fur, with a white tummy. He has sweet black safety eyes and a soft, black nose. The best part about Toni is his bean filled bottom, making it easy for him to snuggle up to you.